We all understand why it’s important to recycle whenever possible. Reusing is also critical to keeping as much debris and trash out of our landfills as possible. Conserving resources is a serious issue, but it can also yield beautiful home décor. 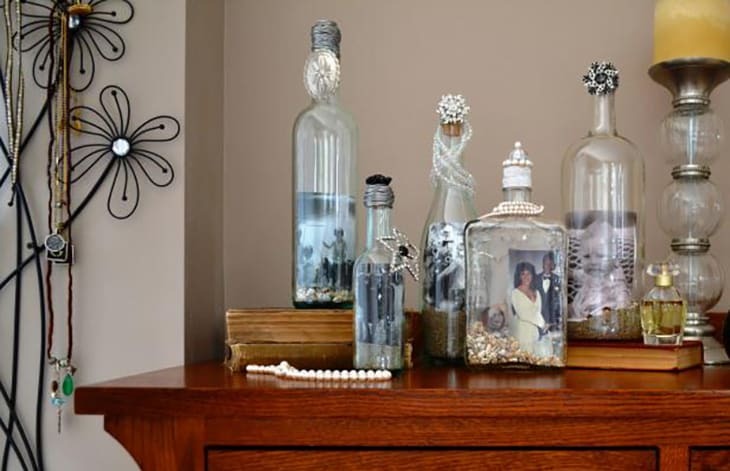 Here’s some inspiration for upcycling glass bottles into beautiful home décor items. A group of small clear bottles with sand, shells, and rocks makes a lovely display for photos. Just roll the photograph up and slip it inside the neck of the bottle until it falls through. 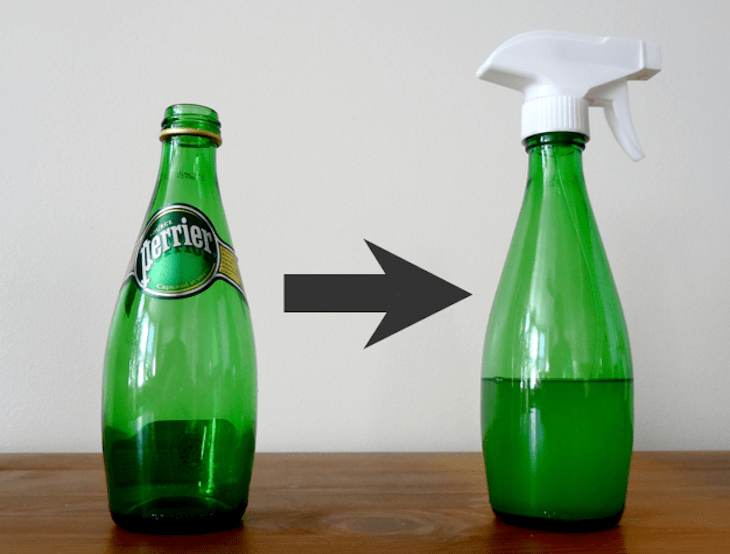 Remove the label and use a glass water bottle with a twist top as an upgrade to your ugly containers of cleaner. 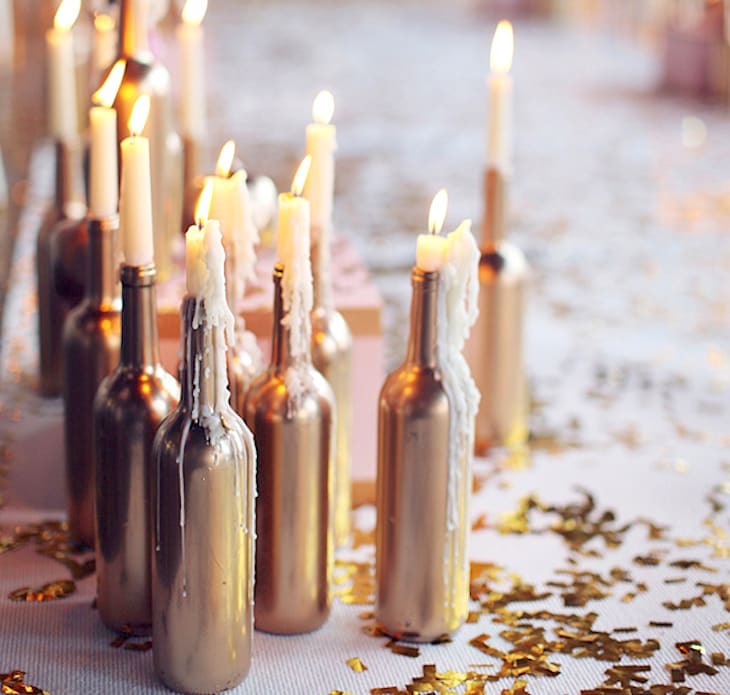 A can of gold spray paint helps anyone turn a wine bottle into a high-class candle holder. Remove the label, paint the bottle, and insert ivory colored taper candles into the tops of several empty wine bottles for a stunning and festive display. 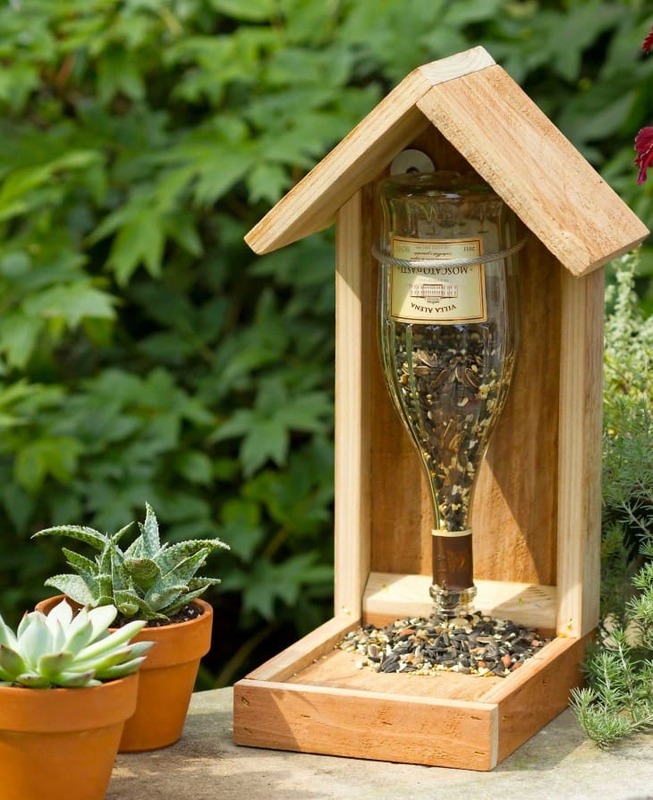 Clean a used glass bottle and invert it for a fun self-dispensing bird feeder. 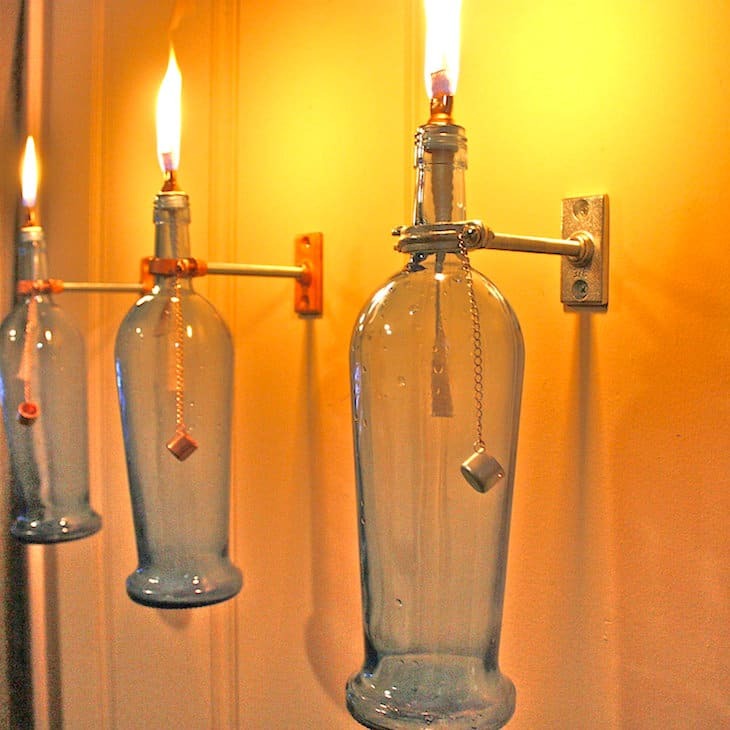 These upcycled bottles bring interest and high-end design to an otherwise boring wall.